This month a team from Cinos visited Amsterdam to attend Integrated Systems Europe (ISE). The 2016 exhibition was the first to be held over four days; a move that reflects how the event has developed since its launch 13 years ago. With all the AV manufacturers under one roof, ISE provides our team with the perfect opportunity to catch up with key partners and check out the latest technology. 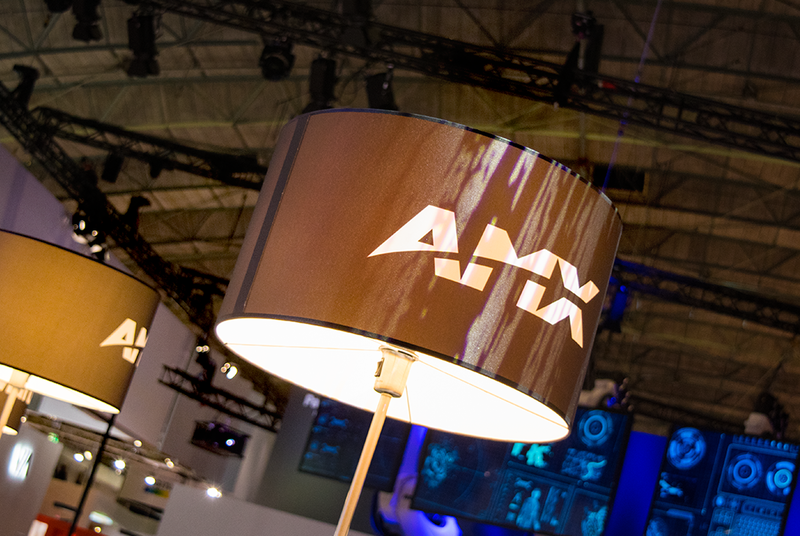 We would first like to extend our congratulations to AMX by Harman for their success at the InAVation Awards; an event scheduled in tandem with ISE. The SVSI N3000 Series from AMX won the award for the most innovative video processing and distribution product. Showcased on the stand at ISE, this series represents a fundamental shift in the way AV technologies approach windowing processing and is a solution we are looking forward to adopting. The latest developments in touch panel technology were also on display at the AMX stand. The most recent innovations aim to reduce table clutter in the form of the Modero X Retractable and HydraPort Touch Panels. Whilst not in use, the touch panels can either retract into the table or close with the HydraPort; completely hiding the control system interface to provide an aesthetically pleasing environment. The passion for innovation and product development was clear as we were taken around the LG stand. Taking centre stage was the world’s narrowest video wall, combining numerous VH7B 55” displays with only a mere 0.9mm bezel. 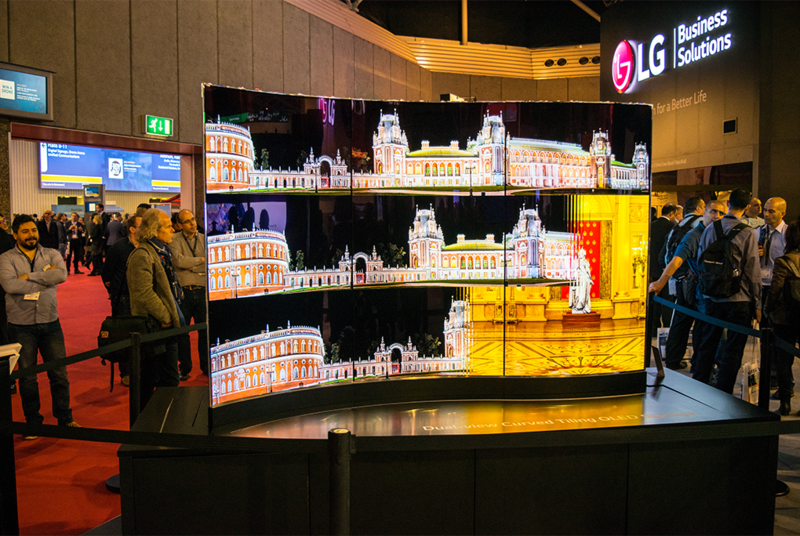 When a video wall is not a suitable option, LG have provided a unique 86” ‘Super Stretch’ LED display, with the ability to mount in either portrait or landscape. With this level of innovation, and as well as adding 65” and 75” models to their commercial range, we are confident LG’s products will be well received by our client base. Whilst the latest commercial developments were impressive, it was great to see the diversity in products from LG. The hotel sector will benefit from the new LG Styler; a one of a kind clothing management system designed to refresh clothes without the need for detergent. 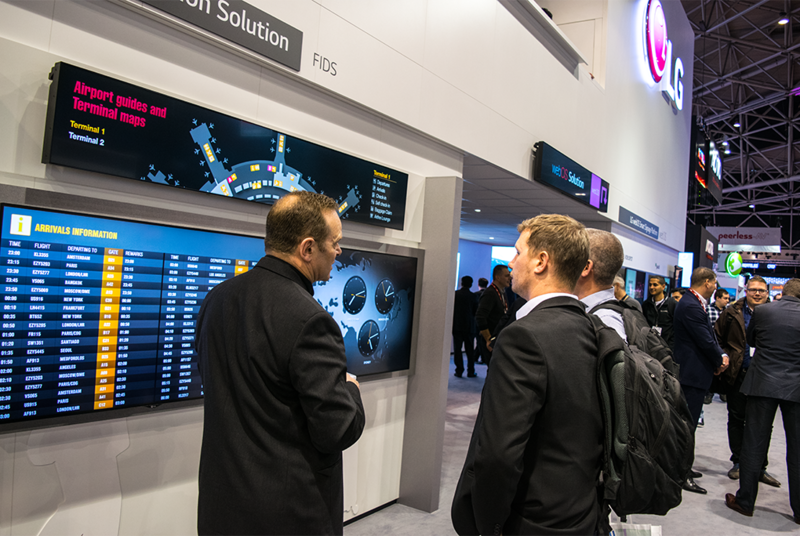 The dual-view, curved OLED signage solution provided a ‘wow’ factor for passers-by and will no doubt be seen soon in retail environments. 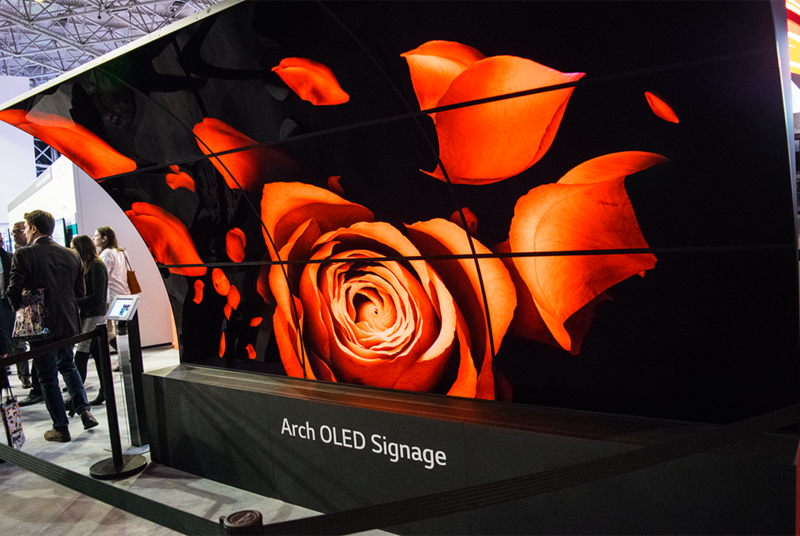 In addition, we caught a glimpse of what the future of digital signage could be with Arch OLED Signage; a solution which, like the N Seoul Tower in South Korea, utilises curved displays to create signage for tunnels, ceilings and much more. See a solution you like? If you are looking at any of these solutions and would like to discuss your requirement please get in touch. We would be happy to help. One of the trends in 2016 is the introduction of solutions which solve the any-to-any video conferencing puzzle. To that end we were impressed with how both Cisco and Pexip have approached this challenge. 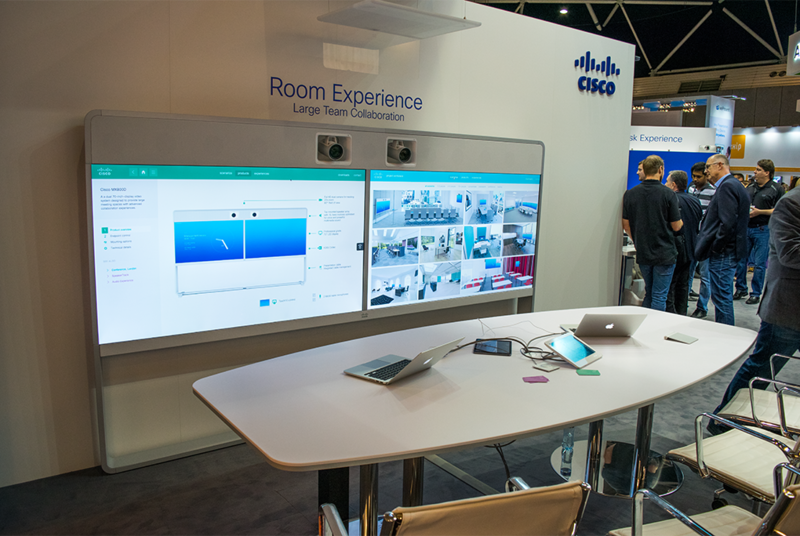 Cisco recently completed their acquisition of Acano, and they were seen publicly for the first time at ISE. 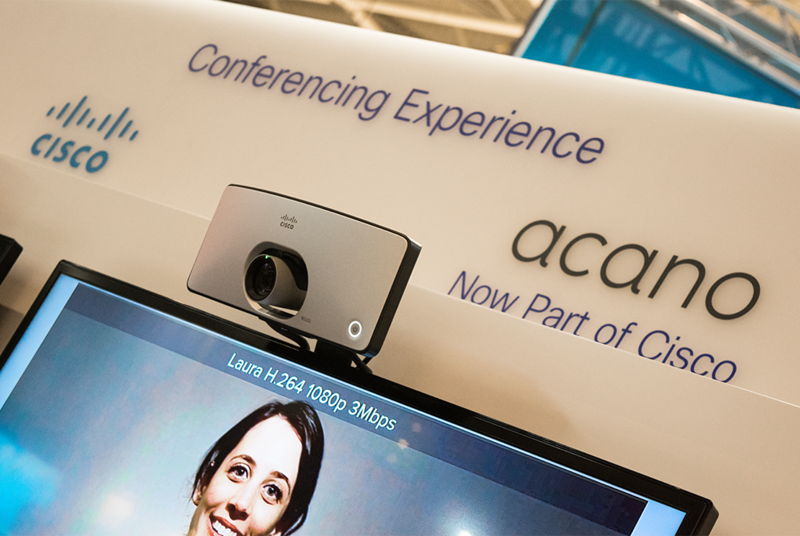 Whilst Cisco solutions can provide the best video experience from any device, the introduction of Acano will improve the scale and interoperability of conferences; allowing customers to join a video meeting regardless of the system they are using. In a similar vein, Pexip have introduced Pexip Fusion, a solution which focuses improving the experience for Skype and Lync users when connecting with legacy video conferencing systems. Not only does Pexip Fusion eliminate the connectivity challenges associated with different platforms, it ensures the user experience intended by the native client is retained. 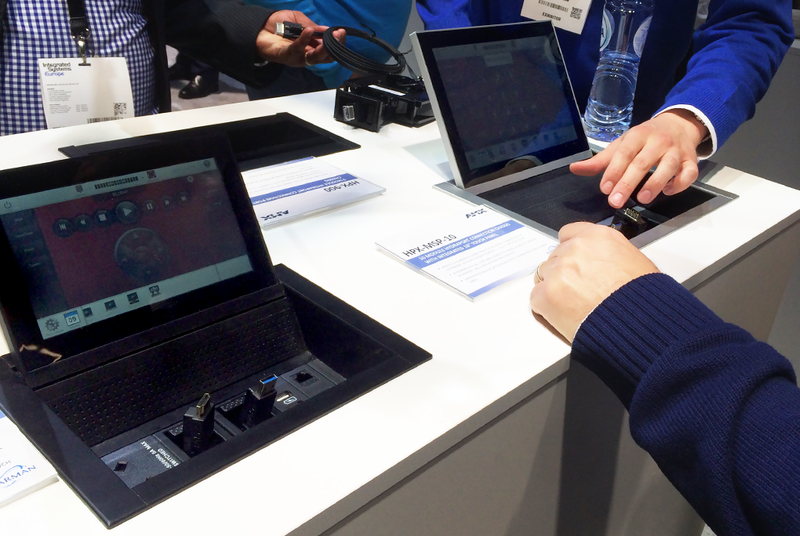 Barco used ISE to announce their latest editions to the ClickShare family of products. 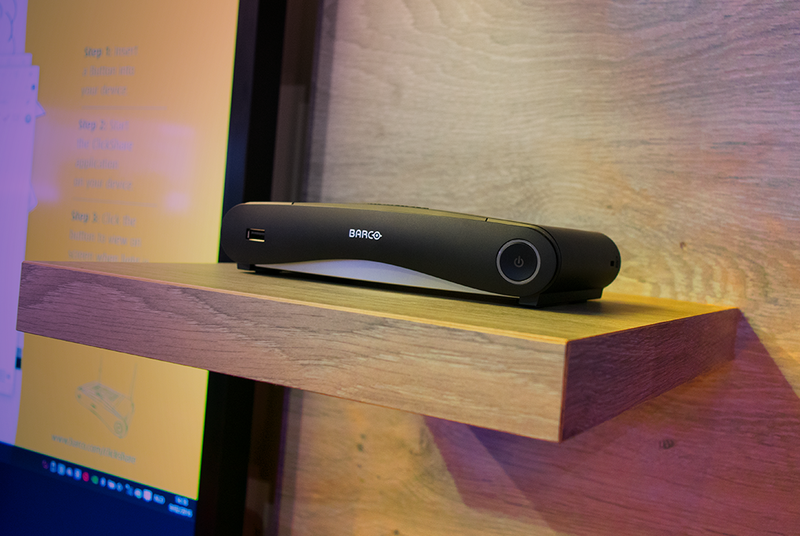 The introduction of the CS-100 means there is now a ClickShare model designed specifically for small meeting and huddle rooms. The CSE-200 is a solution for enterprise rollouts where additional features such as AirPlay connectivity and central management are available. As a Barco Gold Partner we look forward to introducing the new models to our client base. 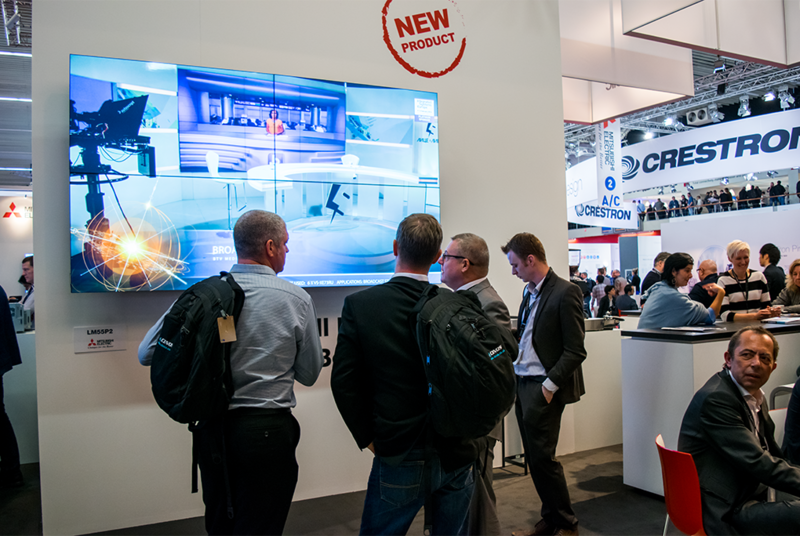 The industry’s newest and most innovate collaboration system was unveiled on the Cyviz stand. Designed specifically for executive meeting rooms, the ‘Cyviz L603’ combines Leyard’s super-crisp 151” LED display with Cyviz’s market-leading collaboration solutions. With our experience of deploying Cyviz technology we are keen to see what further opportunities the L603 will create with our public sector and commercial clients. Catching up with the guys at Mitsubishi gave us the chance to see the latest developments in their command and control solutions. 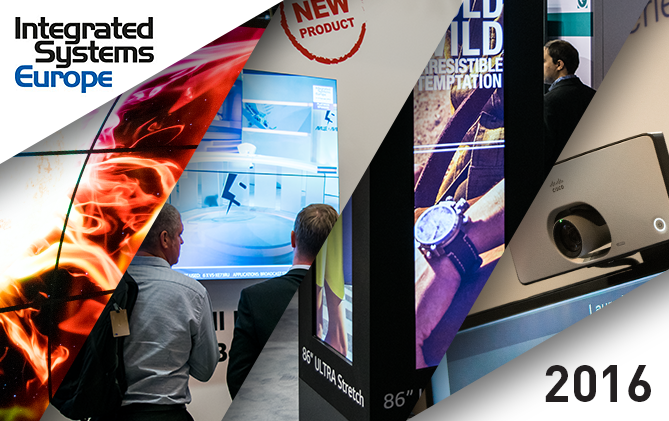 The LM55P2 display wall boasts a reduction to a 3.5mm bezel; creating a near continuous screen surface capable of 4k resolution. For 24/7 mission-critical environments the VS-60HS12U slim video wall cube offers significant advantages in terms of its space requirement. The projection cube measures just 520 mm deep, nearly half that of Mitsubishi’s Seventy Series cubes. 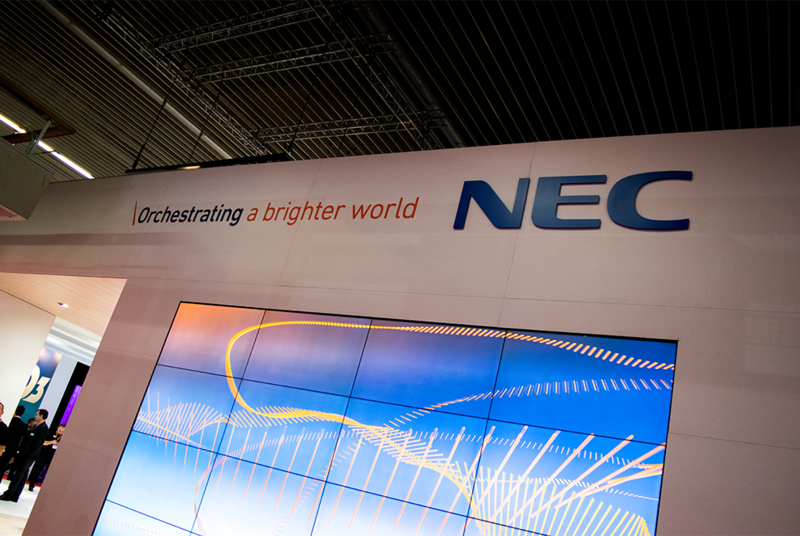 The NEC stand saw a constant flow of traffic with a range of new display solutions available. One product which really caught our attention was the P502HL 5000 lumen, laser projector. With over 20,000 hours maintenance-free operation the P502HL is the ideal solution for auditoriums, large meeting rooms and a range of signage applications. Packed with advanced features, this is a certainly a product we will be considering for future opportunities. Realfiction’s holographic displays were a real eye-catcher in 2015 so it was great to touch base this year to see what developments had been made. The latest update takes the visual experience to the next level with DREAMOC Fusion; a solution which enables the holographic animations to seamlessly transition across multiple displays; really grabbing the attention of passers-by. As always, ISE has provided Cinos with a fantastic opportunity to see new technology and catch up with key partners. We would like to thank the RAI organisers and associated staff as well as all the exhibitors for making ISE 2016 a resounding success.